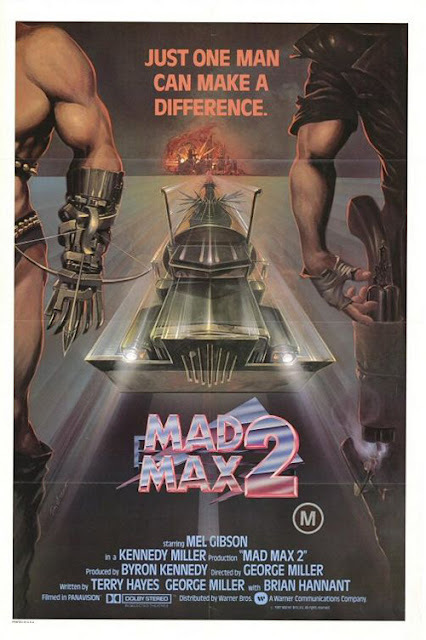 Mad Max 2 belongs to a select band (stand up, Evil Dead II) of second installments that are a more iconic than, and superior to, the original. The Road Warrior mostly holds up, even if the post-apocalyptic fashions are a bit on the '80s side. Gibson's far more compelling here than in later years when post-Lethal Weapon goofing and mullet-acting took precedence. Interesting to hear George Miller and Dean Semler on the Blu-ray commentary talking about the decidedly non-arty, get-it-done approach to making the film, and the agreement that its continuing popularity is down to everything being real; if it was made today there'd be so much done in post as effects shots it would lose that immediacy. I hope Miller remembers that if he ever gets Fury Road off the ground (and especially since Happy Feet was about as far from Max as you can get).